Chris Caten's Latest Neighbourhood Watch/Beat Mobile Newsletters: are now on site Click Here to keep informed about the latest scams and also be sure to check out Chris's Christmas Card. 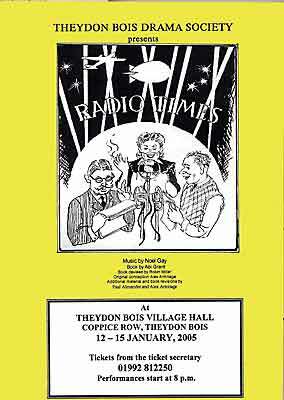 Theydon Bois Drama Society Present: Radio Times a musical by Noel Gay from the book by Abi Grant. This heart warming and highly entertaining musical is set in London's Criterion Threatre in spring 1941, and traces the struggles of the cast of 'Variety Bandwagon' a BBC light entertainment show, broadcasting for the first time live to America. The production runs from 12th to 15th January 2005 and performances start at 8.00pm in the Village Hall. Tickets are priced at £7.50 and can be obtainedfrom Mrs. C. James Tel: 01992 812250. This is the Drama Society's first production of 2005 and is likely to prove very popular so please check ticket availability rather than turn up on the evening to avoid dissapointment. Christmas Card Competition 2004: After the success of last year's competition The Parish Council, Village News, Village Web Site in calibration with Theydon Bois Primary School decided to run another 'Christmas Card for our Village' competition again this year. The judges this year had even more difficulty deciding on the winners as there were nearly 200 entries and the standardthe standard was so high and there were quite a few disagreements. A winner and runner-up were finally chosen for each class and overall Infants Section and Junior Section winners who should have now received their prizes of an Art set & the latest Guiness Book of Records. The Infants Section Winner was Heidi White and the Junior Section Winner Georgia Crandon. Georgia's entry is also the Village Christmas Card 2004 and will be printed and used by the Parish Council for this year. Thanks to the school and all the pupils that entered if you were not a winner better luck next time as this looks like becoming an annual event. We have all the winners and runners-up on our Gallery Page or a quick view PDF of these Click Here. Santa will be at the Playground from 1pm - 3pm on Saturday Decemember 11th. Come along and meet him. You can have your picture taken with Santa, there will be Christmas Cakes, sweets and drinks, a Christmas Cake Raffle and plenty of games for all to enjoy. All proceeds from this event will go towards helping PAT maintain the playground so please come and support this Christmas event. Theydon Bois Primary School Christmas Fair: Our theme this year is "Winter Wonderland". 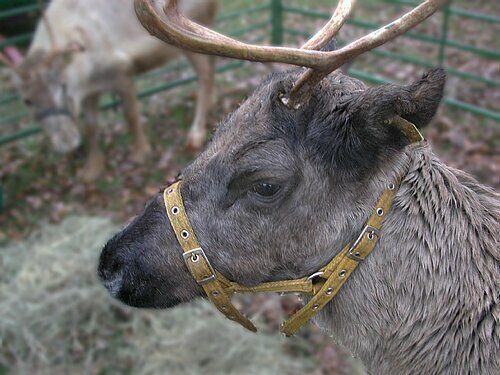 We have reindeer coming from Paradise Wildlife Park who will be setting the scene at the front of school. Doors open at 12 Noon and close at 4 p.m.
HOUSE-BUILDING PETITION: Epping Forest District Council is comfortably ahead of the target figure set for it by the Government in the ordinary house-building programme because it has benefited from 'windfall' sites, such as our former village hall site in Loughton Lane and at Bell Common the land between the hotel and Magpie Restaurant, for which planners get planning permission. Nevertheless, when the Government expressed a desire for 500,000 houses in the Eastern Region the number allocated to Epping Forest District was 18,600, an increase of nearly 30% on the existing housing stock. It is understood that this figure has been revised to 11,000, but as there is now a suggestion that the overall half million figure might be increased, the final figure for the District is not known. It is, however, clear that such a large number cannot possibly be accommodated on 'windfall' sites that arise only by chance. Therefore a lot of building would have to take place on Green Belt land notwithstanding the Government's own Planning Policy Guidance note which says that housing is the last thing that should be allowed there. This situation greatly concerned not only our Rural Preservation Society but also the Campaign to Protect Rural Essex, The Epping Society, The Friends of Epping Forest, The West Essex Ramblers and Eleanor Laing our MP who agreed to present a petition to the House of Commons sponsored by the five organisations. Most people have seen it. It alerted and informed many who were not aware of the situation and gave everyone the opportunity to join in the protest and request for a complete review of the basis for the figures, particularly for Epping Forest District. It is gratifying that a total of 13,126 signatures were obtained. 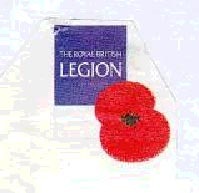 Our thanks are due to all those who helped distribute and collect the sheets and to the shop owners who had them to make available to their customers and provided a healthy contribution. Alan Gillies for The Rural Preservation Society. 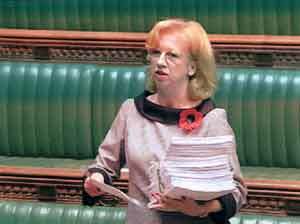 I wish to present to the house a petition signed by more than 13,000 people who live in the vicinity of Epping Forest. Epping Forest is an ancient forest, substantially located within the Green Belt. The biosphere of the forest is in danger of being damaged by the governments plan to build large numbers of new houses in the Green Belt. The petitioners therefore request that the House of Commons urges the Government to review the research on which plans for new housing in Epping Forest district are based and to confirm that the principle of protecting the Green Belt will be upheld. Declares that Epping Forest is an ancient forest which is protected by an Act of Parliament, that it lies substantially within the Metropolitan Green Belt which is also protected by an Act of Parliament and that plans for development of land in Epping Forest District must take into account not only the land on which the Forest stands but also the "biosphere" of the Forest. The Petitioners further declare that the plans of the Government and its agents to build large numbers of new houses in the Green Belt are of great concern to the Petitioners. A New Health Watchdog: A Forum exists to assist you to express your views and help plan the Health services in your area. 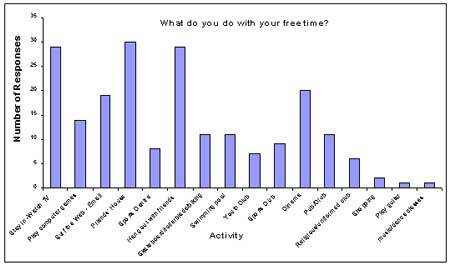 The Epping Forest Patient and Public Involvement Forum (P.P.I.F.) is one of a network of Forums established by the Government across the country to improve healthcare. Forum members are volunteers who have undergone training to assist them in their role. The Forum has wide-ranging statutory powers to work with Primary Care Trusts. Forum members can visit any service in the Trust and may make recommendations for improvements, including Hospitals, clinics, surgeries, etc. They will also be involved in any discussions on changes to services that may affect the public in Epping Forest District. The biggest challenge for the Forum is to become visible in the local community. People need to know that we are there for them. We also need more members to join us. The issues currently being raised are: Cancer services, breast screening follow-up appointments, blood donors system, pharmacy closure, pension services for special needs clients. If you are interest and would like to contact us: telephone Marilyn Lambert on 01279 418666. PARISH TRANSPORT SCHEME: Mrs Jones cant use a bus. She used to stay at home every day. Not any more! Now with COMMUNITY TRANSPORT she can get about, visit friends and even browse or buy at the shops or local market. The NEW SERVICE will start on Monday 15th November. The route will cover Chigwell, Abridge, Theydon Bois, Epping, Moreton, Bobbingworth & The Lavers. To use this service, you need to ring this number to register and obtain details of the bus timetable for your area. Litter Picks:The Parish Council would again like to thank all those who help keep our village tidy by paticipating in the monthly litter picks. Please note that in future the monthly litter picks on the first Saturday of every month will now start at 9.00 a.m. (it was previously 9.30). A few years ago a burglar was arrested and interviewed. We considered that this burglar was very good at his job because every property he entered he hit the jackpot. He never failed. It took a lot of effort to capture him as well but we were surprised when he told us why he was so good. After Christmas he would drive around the streets and take note of what empty boxes you would put out for the dustman. If you had a brand new computer for Christmas then you would simply fill that box with rubbish and put it out for collection. This burglar would note what was at your address and then pay you a visit later on. Easy isnt it? MALCOLM "HARRY" HARRIS: We are sad to report the death of Malcolm "Harry" Harris on Saturday 25th September. Harry took up the post as cemetery gardener/handyman for the Parish Council in March 2003. Only a few months later he was diagnosed with lung cancer and, despite undergoing a course of chemotherapy, he was able to continue in his role until shortly before his death. Harry was very well known outside the village for his keen interest in football and played centre-forward for Ford United - now Redbridge. He was also a keen bird watcher and with this in mind some of his friends have clubbed together to sponsor the bird-bath at the cemetery (see picture). 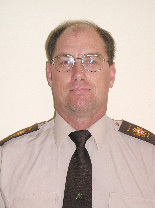 On a brighter note we are pleased to announce the appointment of Nigel Pomfret as gardener/handyman for the cemetery. I started as a trainee ranger in the foothills of the Peak District in 1977 and have gradually worked my way southwards having stopped off in Bedfordshire where I worked as an Area Ranger for 15 years! As I have already said I have been in Epping Forest for over 9 years. In that time I have been a non-mounted keeper in the High Beach area as well as spending 18 months on the mounted section. My role as a constable has required me to present numerous court cases for offences against the forest byelaws (and other relevant legislation), mainly at Epping Magistrates Court. though someone described them as something else to me! Where alcohol and more especially the fires have been 'flagged up' these are not allowed and violate the bye laws. Any incidents that cause concern can be reported to 020 8532 1010, this is a 24 hour service and after hours calls are monitored by a handling centre. On another subject I am aware that one of the topics of conversation involves the avenue of trees at Loughton Lane. It will be necessary for some safety work to be carried out on these trees and there maybe a need for there to be temporary traffic parking restrictions during this time. I am looking forward to meeting many of you and hope that I can work with the Parish Council to benefit the village and help keep the area pleasant and enjoyable. This is my first contribution to the Village News and I hope that I will become a regular contributor would like to take this opportunity to wish you all a very Merry Christmas and prosperous 2005. Latest Newsletters: We now have Trevor Roberts October review of village events Click Here and Chris Caten's latest Beat Mobile Neighbourhood Watch Newsletter Click Here. Village News: The December issue of Village News is now being prepared and it is hoped to distributed it around the village before Christmas. We have the full colour PDF version of the September issue available on site as well as earlier issues. Click here. If you have any News, Events or Copy for the December issue please send it to the Content Manager now. Parish Council Minutes: The September Parish Council Meeting Minutes are now available. Click here. 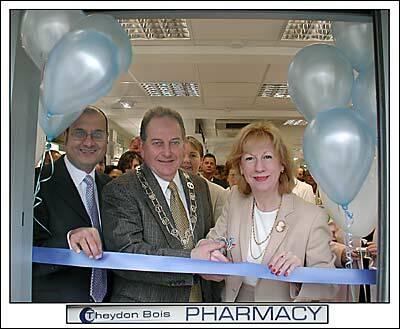 Theydon Bois Pharmacy: If you do a lot of your shopping in the village (and we hope you do support all our shops) then you will probably have noticed all the work that has been going on recently at the Pharmacy. Sailesh Dawda the owner and pharmacist has been at the shop for over 15 years, initially providing an ad hoc advice and dispensing function but now becoming a "Medicines Manager" giving much more detailed advice on minor ailments, medicines and their unwanted side effects, thereby relieving local Doctors to concentrate on more serious cases. To cope with all the changes taking place he has enlarged the premises and incorporated consulting rooms as well as extending the product range to include Disability living aids, veterinary medicines and other health related products. There is also a smart new shop front but one still fitting to the character of our village. The official opening of the shop took place at 12 noon on Friday 15th October when Eleanor Laing MP accompanied by Parish Council Chairman, John Eaton and Sailesh cut the ribbon. Beat Mobile Newsletter: Chris Caten's latest Beat Mobile Nieghbourhood Watch Newsletter is now on line Click Here. 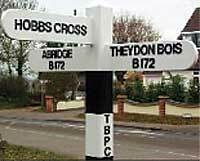 Best Kept Village Sign: As we have previously reported Theydon Bois was a winner in Rural Community Council of Essex Best Kept Village Competition and the Village of the Year Competition, both sponsored by Calor Gas. 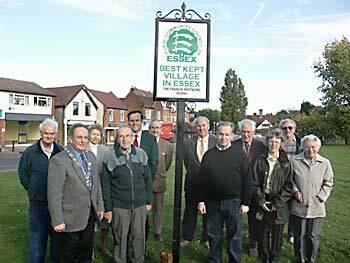 The prize of a plaque, 2 certificates and £150 prize money were awarded at RCCE AGM on the 7th July but we also got a smart new sign declaring us the 'Best Kept Village in Essex' which has now been installed in a prominent position on the Village Green. Our picture shows Parish Council Chairman, John Eaton with fellow councillors and representatives of village societies at the installation ceremony on the 6th October.